The quality of water along some beaches in or near Ensenada or other large coastal communities may be unsafe for swimming because of contamination. Swimming in contaminated water may cause diarrhea and/or other illnesses. Mexican government agencies monitor water quality in public beach areas but their standards and sampling techniques may differ from those in the United States. Are you concerned about your personal safety when visiting Ensenada? Ensenada is the third-largest city in the Mexican state of Baja California. 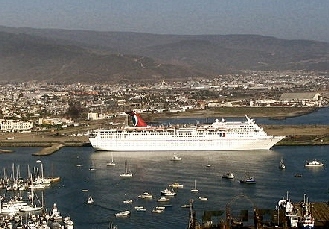 Ensenada is an important commercial and fishing port as well as a cruise ship stop. There is also a navy base, an army base and a military airfield, which functions as an airport of entry into Mexico. Ensenada is the only deep-water port in the state of Baja California and is part of standard shipping routes that directly link it with Mexican cities. Ensenada is located 70 miles south of the international border, a 90-minute drive from San Diego. Due to its location on the Pacific Ocean and Mediterranean latitude, the weather tends to be mild year-round. Although the winter rain season is short and the area is prone to prolonged droughts, Ensenada sits in the heart of a wine country that is widely regarded as the best in Mexico. The Avenida Lopez Mateo main shopping and dining district is an easy walk from the pier. Taxis are available at the pier and along Avenida Lopez Mateos. The Ensenada area has several celebrated surfing spots, such as San Miguel Beach, California Trailer Park, Stacks and 3 M's (Tres Emes in Spanish), which are located on the north coast of the city. Todos Santos Island (better known as 'Todos') is a small island located west of Ensenada (about 2 hours by boat), and a world famous surfing spot. The Billabong XXL surfing contest has been held at Todos Santos Island several times. Wave faces can reach above 60 feet on the island. Further south in the municipality are spots famous for their excellent windsurfing. Ensenada Baja California has been known for sport fishing over fifty years. Each year hundreds of anglers head for Ensenada to go fishing and take advantage of the shorter distances needed to travel by sea to get to the big catch. The short range day trips are good for cranking in Bass, Bonita, Barracuda, Cod and Yellowtail, while the long range trips pull in Tuna, Albacore, Dorado. The world-renowned Baja 1000 off-road race is held in Ensenada every year in late November, while the Baja 500 race is held in early June. Off-road enthusiasts use Ensenada year-round as a starting point to explore Baja California. The gray whale's annual migration from Alaska to the lagoons of Baja California Sur between the months of December and March, and back in the months of April and May, can be seen from the coast of Ensenada. Sightseeing tours are available every day during migration season. Located within the municipality of Ensenada, about 240 km SE of the city of Ensenada. It's a classic tourism spot in Ensenada due to its many "Curios, Curiosidades" (trinquet and souvenir stores), restaurants, hotels, bars and popular clubs such as the Hussong's Cantina and Papas & Beer. La Primera is a very busy street, filled with tourists and locals. It is normal to go through a lot of traffic, especially at nighttime. Also named "the blowhole", its the second biggest marine geyser in the world. 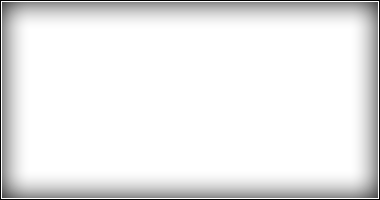 It is located at the end of a long strip of shopping and markets. Located six miles south of Ensenada. Located at Estero Beach Hotel/Resort. Harvest Festival. Every year during the month of August, the beginning of wine harvest season is celebrated in the Guadalupe Valley and in the city of Ensenada with a two week long series of cultural and culinary events. This event attracts people from all over the world. The Ensenada Carnaval is one of the country's largest, as thousands of people gather in the streets for six days and nights.